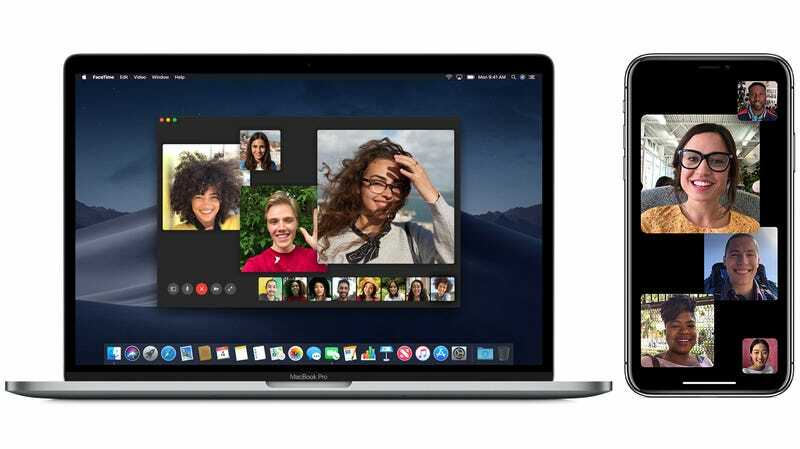 In a move that will surely please parents and grandparents around the world, Apple has finally announced group FaceTime functionality for iOS. In iOS 12, you’ll finally be able to FaceTime with up to 31 of your closest friends. The major appeal of group FaceTime for me comes with its simplified integration with iMessage. There are a few group chats on my phone that are constantly updated/active among family and friends, and being able to quickly turn one of them in a FaceTime session seems like it’ll be extremely convenient. For special occasions (like my yearly fantasy football draft), rather than trying to wrangle everyone into a G-Hangout or Google Hang or whatever they’re called now, this seems like a much more simplified solution. Apple will also let you put Animoji and other weird photo filters over your face when you’re FaceTiming with lots of people, and that doesn’t really matter so much unless you’re really sick and need to be on camera or something. Group FaceTime is the type of thing that won’t seem useful until the option to start one pops up on your phone and you think, “hey, I actually would like to do that right now, thanks Apple.” I won’t be FaceTiming my family five times daily, but it’s a nice comfort to know that the option is there when the opportunity arises. Now all that’s left to do is wait for your mom and dad to put you in a group FaceTime with them and your Uncle Bill while they’re tailgating at the Mets game. Whether you pick up, however, is another question entirely.